This is an uncommon migrant that can be found during Winter migration season. The head of the male is purple. It has a crest or tuft and white band on the wings and yellow eyes. 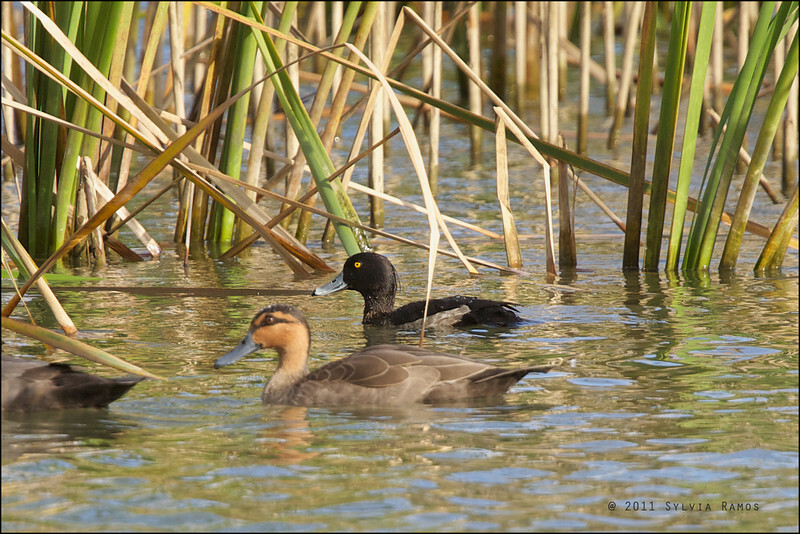 TUFTED DUCK, male Aythya fuligula Saud, Pagudpud, Ilocos Norte With a Philippine Duck in the foreground.